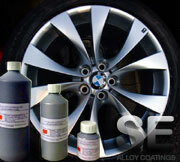 SouthEastern Alloy Coatings is a successful high end smart repair service. We are now making available via this website the materials that produce our professional results. Designed to achieve a perfect finish with an exact colour match. These specialist coatings have never before been available on the open market. Available in 250ml, 500ml and 1 litre containers. The best ground coat for chrome colours. SE Alloy Coatings is a professional hi end smart repair service with over 17 yrs of experience in both static and mobile repairs to alloy wheels of all types. Based in Sheerness Isle of Sheppey our alloy wheel refurbishment service is active in Swale, Medway, Kent and the whole of the South East. Having refurbished thousands of alloy wheels to a better-than-new standard; we are now releasing the chrome coating products that have been the very secret of our success. This trade secret has confounded many enthusiasts who have tried and failed to create a professional chrome finish. Now available for you to purchase these simple water-based chromes will enable you to achieve results never before possible. Surprisingly easy-to-use and supplied with straightforward instructions you too can produce better-than-new wheels at a fraction of the cost. 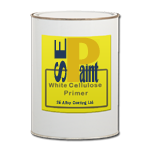 Please browse our stocks of water base, solvent base colours, 2k and 1k clear lacquers and primers. We now also supply a complete range of automotive paint and painting materials, featuring quality products from Farecla, Robelo and Lechler. We would be pleased to help you with any of the above so just drop us an email and feel free to ask any questions you may have.